It’s time for this blog, because the phone calls, texts and emails have started. Perhaps a change in my career path? (Using ‘career’ loosely, of course!!) And it’s been a whirlwind. I wasn’t looking for a new job, it just happened. I used to blog for The News Herald and work in sales/marketing for Taylor Made Home Care. Starting last week, I work for The News Herald and I’ll continue to blog and do special projects for Taylor Made. I’ve been a blogger for The News Herald for about 3 years. This past year, I’ve been the Marketing Manager at Taylor Made Home Care, a job I loved because I helped people–and because its owner is a wonderful woman, who inspired me daily. For me sales/marketing felt like ‘socializing.’ I continually met others who shared my passion for helping those in need of companion care, or senior services. I went into local medical centers, hospitals, senior centers. I attended meetings, discussions given by area providers of senior services; such as The Alzheimer’s Association and The Lake County Council on Aging. And my eyes were opened to an enormous web of people/organizations that are on hand to service our elderly community. Working at Taylor Made changed me, for the better. I’m aware of things that I would never have known about. 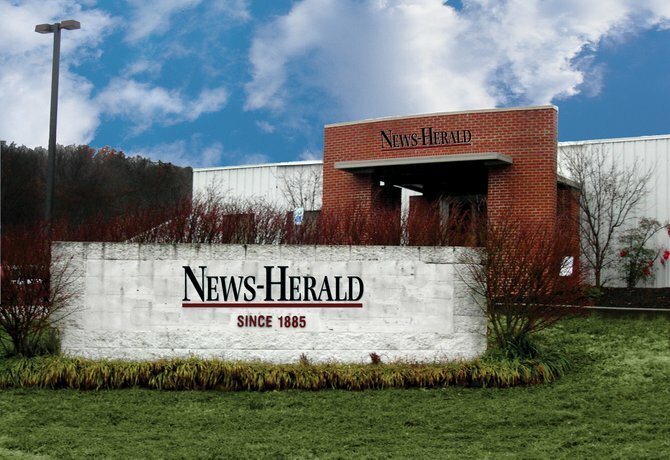 I’m working full-time in the Editorial Department at The News Herald. In the newsroom. Which is incredibly cool, because I’ve wanted to work at our local newspaper since I graduated college. Working at a newspaper has always been on my bucket list. When the opportunity seemingly fell from the sky, I was torn. However, if I’ve learning anything in the past several years, I’ve learned that we sometimes have to have faith, to follow the path in front of us, simply because it’s there and it feels right. Even if its difficult, or scary. Luckily, Taylor Made is on Erie Street in the heart of downtown Willoughby–and about three minutes from my office at The News Herald. I can still be a part of the business that I so enjoyed. The strangest part of my new job? Being in a newsroom on the other side of a news story. As disaster struck in Boston yesterday, I saw it from another angle. From the inside in some ways. What’s going to be challenging? I’m known to break grammar rules–especially in this blog. Look what arrived on my desk? 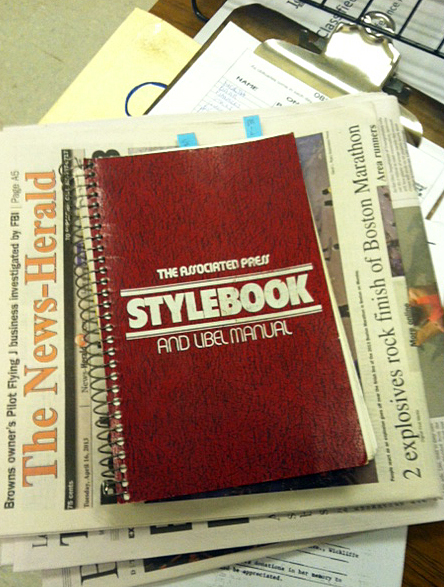 God help us all as I try to get a handle on writing rules and style used by The Associated Press. I now work in an environment where social media use is encouraged. And reading is part of my job. Oh happy day!! 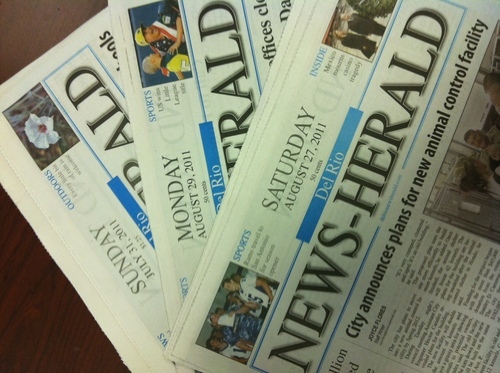 In fact, just outside my office door, The News Herald (and another newspaper) are sitting there when I arrive at work. Free! What exactly am I doing at The News Herald? At the moment, I’m writing obituaries and will soon be doing the announcements–and from there, who knows? Just another adventure. Because nothing in my life ever stays the same for more than 10 minutes. Want to reach me at The News Herald?